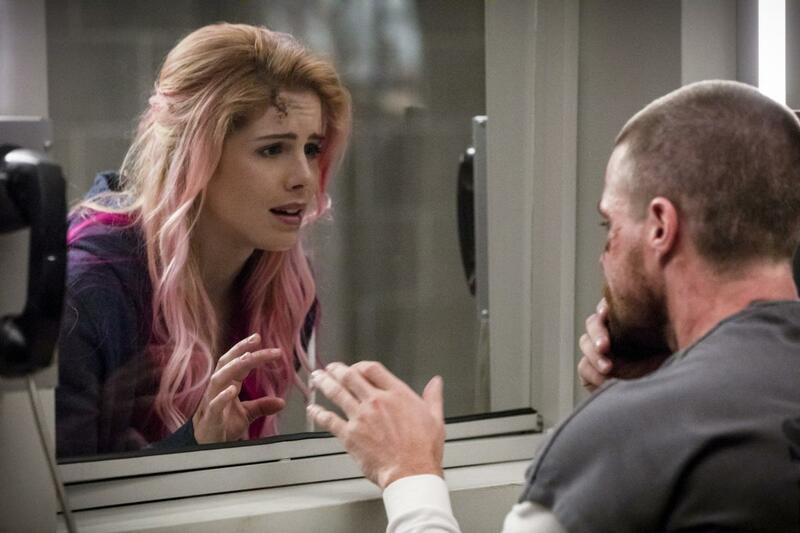 With Oliver behind bars, “Arrow” can’t just give Felicity scenes with her husband. In the first Season 7 episodes, Emily Bett Rickards revealed that her computer genius character will get a little girl time — but not with who fans might expect. “You get some Black Siren-Felicity scenes right off that bat. I was pretty excited about that,” Bett Rickards told International Business Times. She couldn’t say much about her dynamic with Katie Cassidy’s villain, but it sounds like it’ll be entertaining. “Oh you will see, it is quite something,” she hinted. A lot has changed for Felicity in “Arrow” Season 7, which premieres Monday. She and William (Jack Moore) have gone into protective custody and assumed new identities. 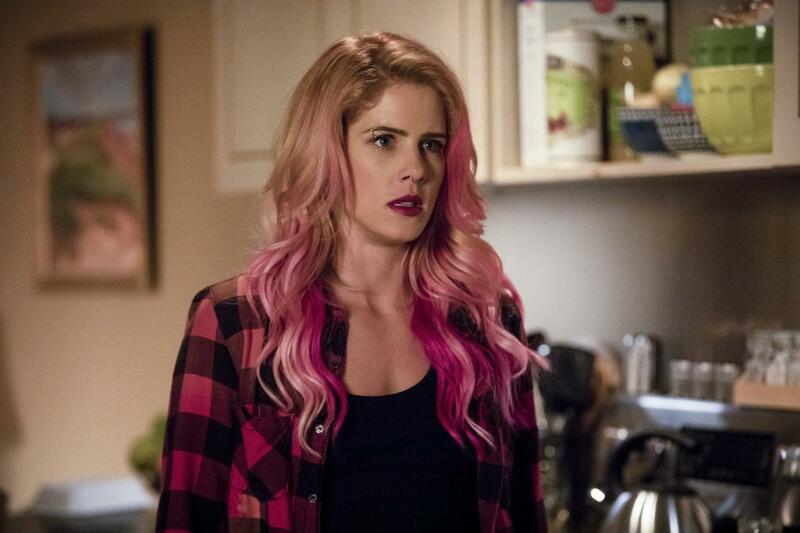 That’s why Felicity will be rocking some bright pink hair in the premiere. Bett Rickards, who had pink hair during one of the CW drama’s summer hiatuses, said she laughed when she saw that she’d be getting the crazy color again. Felicity, however, doesn’t have much reason to smile. “It’s super fun and Felicity looks really rad. Unfortunately, the reason she had to do it wasn’t fun, so it doesn’t really express in her persona that she liked it per se,” the 27-year-old noted. Instead, Felicity will be parenting Oliver’s (Stephen Amell) son, and they’ll both be adjusting to their new life. It doesn’t sound like it’ll go very well, though. “They try to make the best of a bad situation, but the bad situation gets even worse and too much to handle,” she teased. The situation was already pretty rough. Last season, Oliver made a deal with the authorities that if he didn’t catch Diaz (Kirk Acevedo), he’d go to prison. In the season finale, Diaz got away, and the Green Arrow had to go to Slabside Maximum Security Prison — the same place all his enemies are residing. Oliver chose not to tell Felicity about this plan. She was shocked to learn that he made a massive, life-altering decision without his wife. See what’s in store for Felicity when “Arrow” Season 7 premieres Monday at 8 p.m. EDT on The CW.